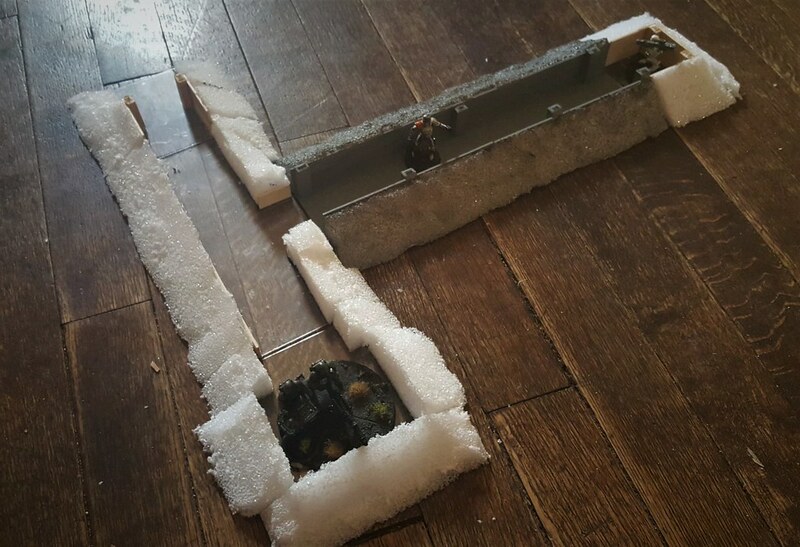 The pieces are modular, so I can rearrange them as needed to fit the table or simply to make the trench system different. 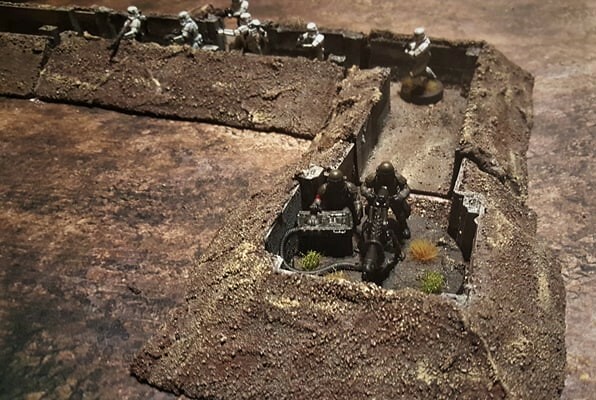 Planning on eventually painting the trenches up to be muddy Jabiim/Mimban/WWI style trenches, but they could easily be painted to be Hoth, or anywhere else. Other than priming the fully constructed pieces, I'm done for today since I'm out of balsa wood and foam, and of course, Hobby Lobby is closed today. Stay tuned for more! 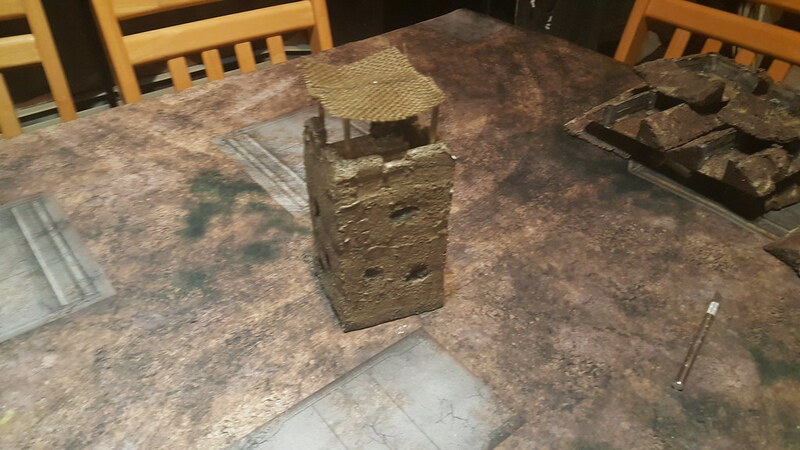 The trenches look great so far, excited to see how these look painted up. 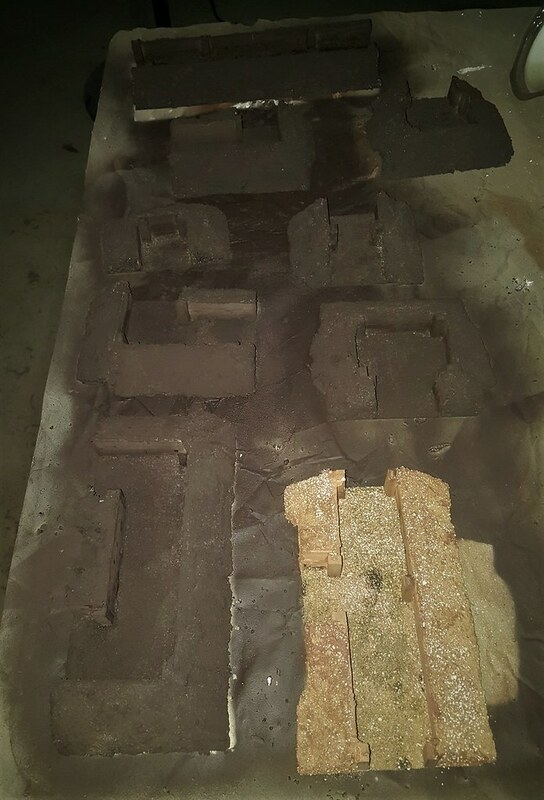 Update: all of the trench pieces are plastered and sanded, and most have been painted brown. All that's left is to paint the last piece when it's dry, and move on to dry brushing and detail painting. It's funny, but I notice far more white spots in these pictures than I do in person. Reflection from the flash, I wonder? 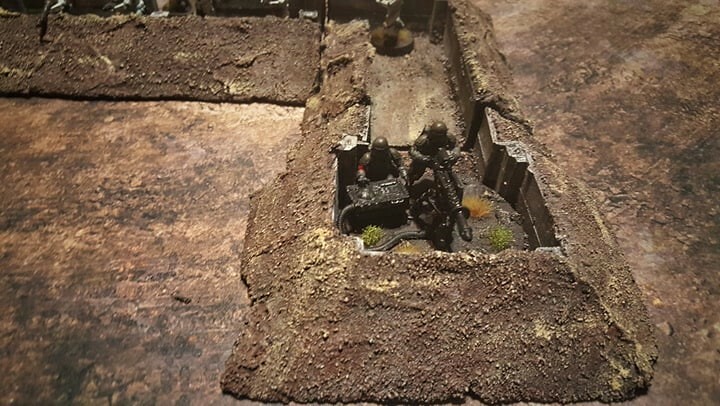 First batch of trench sections is finished. Very nice. How many of these will there be? I'm looking to do at least two more L sections and another U section. I might start playing around and create a few damaged sections or additional, shorter straight sections as well. We'll see. 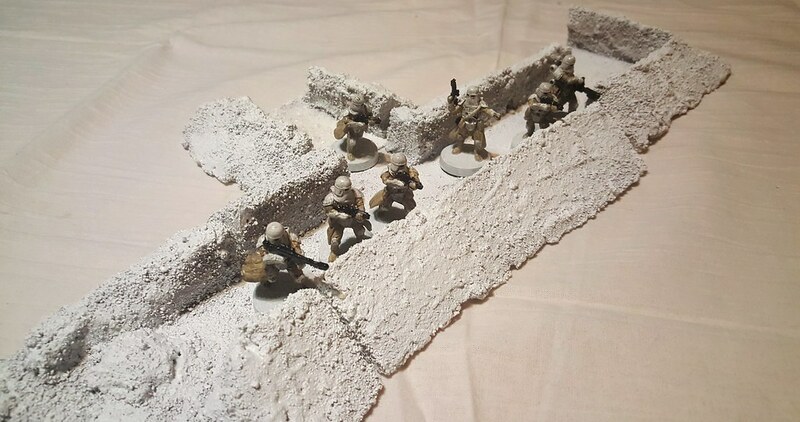 If I ever get an army of Snowtroopers/Hoth Army built, I'll probably make a similar batch but painted white to be the Echo base trenches. 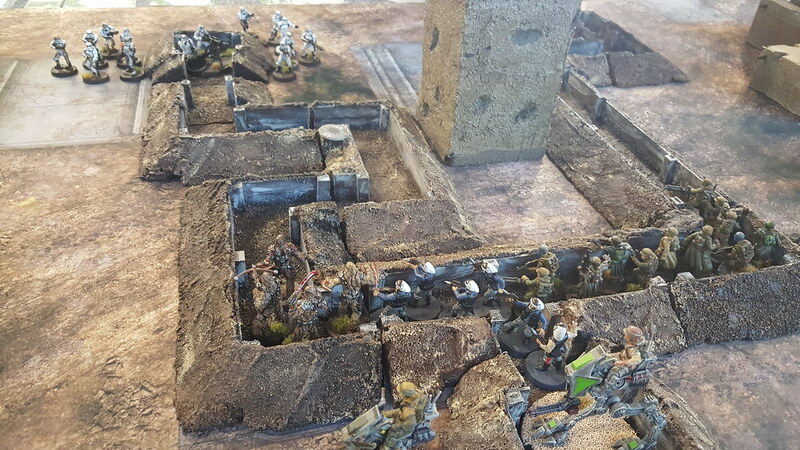 Will you be doing anything besides Trenches for the board? Yes. 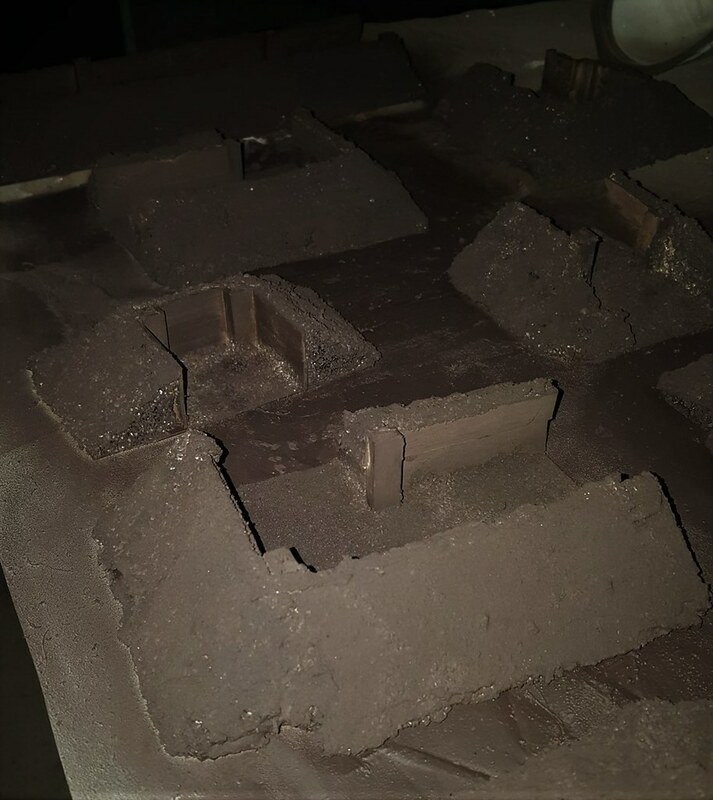 I have a small bombed out village from Bolt Action, and I've been working on making up a few more buildings out of foam. 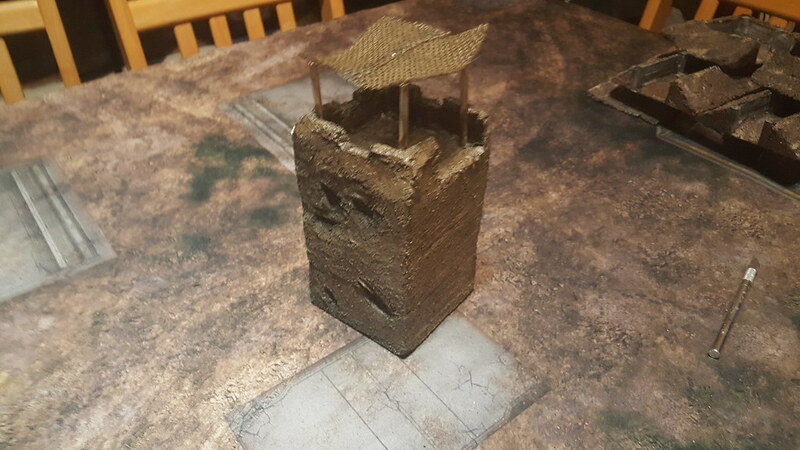 I still need to make a ladder for the watchtower, so minis can get up there without having to climb/clamber. These all look great! Nicely done! 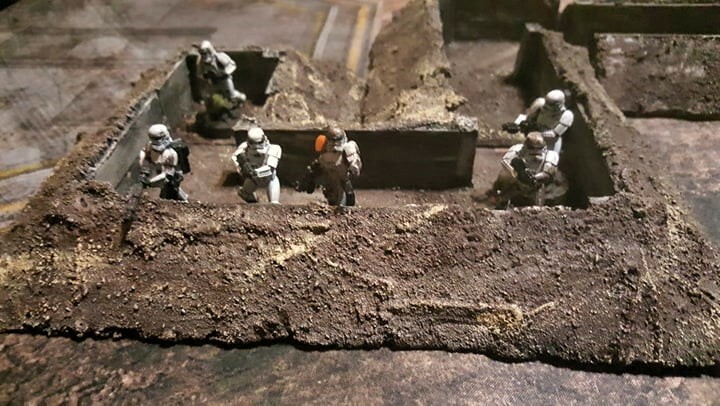 Local weather has been snowy, and it motivated me to try my hand at some Hoth trenches. 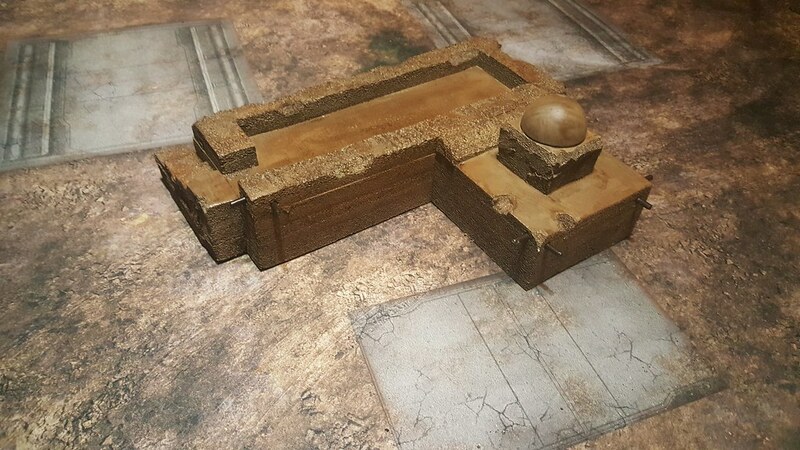 Since the ones we see in ESB didn't have anything supporting the walls, I ommited the wood from the design. Made with modular pieces just like my first batch, so they can be rearranged. I might make more eventually, so it's more than a simple line, but since I don't have a mat to play on, or more snow units than this, it'll probably be a while. It's only $8 for a 3x6 piece of white felt at JoAnnes... though 800 points of snow troops will cost somewhat more than $8. Touche, though I'd probably get something like an FLG mat. Either way, the price of 800 pts worth of winter wonderland worthy warriors would be a tad bit higher than the mat, or what I have invested in terrain. 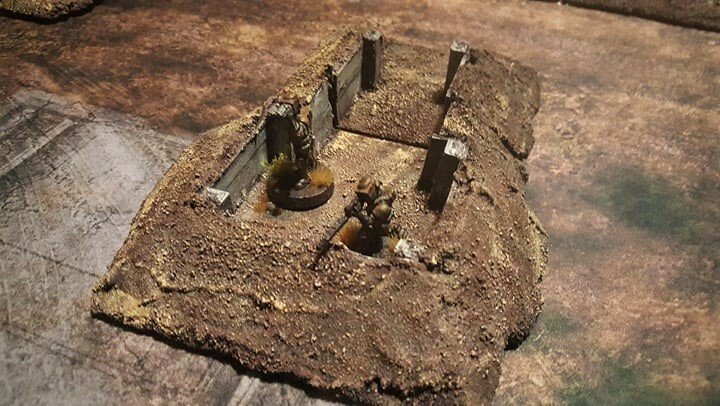 Few updated pictures of my trenches from a game last night. 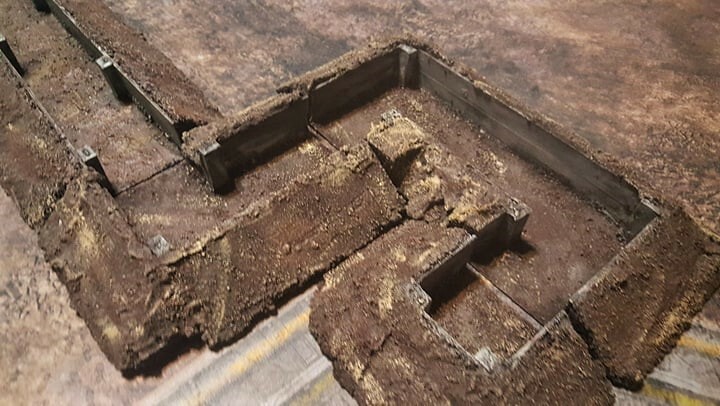 Played key terrain, with the center terrain piece being a section of trench. 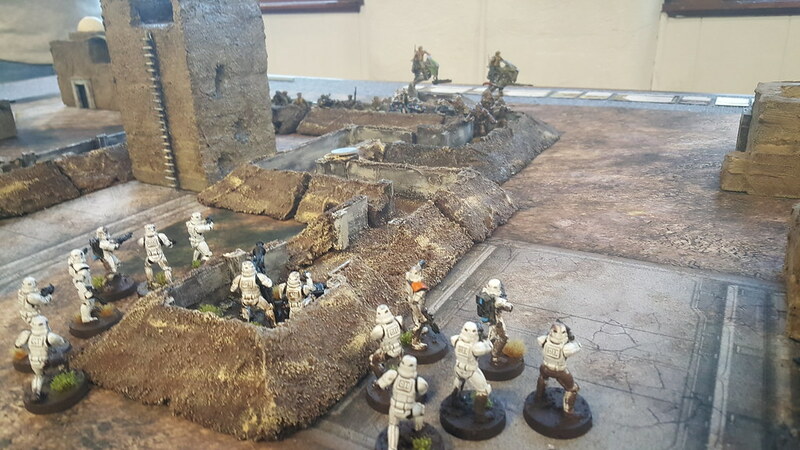 Made for some great trench warfare moments with space Maxims (E-Webs) being taken out by space trenchguns (Fleet trooper scatter guns), Wookiee trench raiders, and plenty of sniper fire. 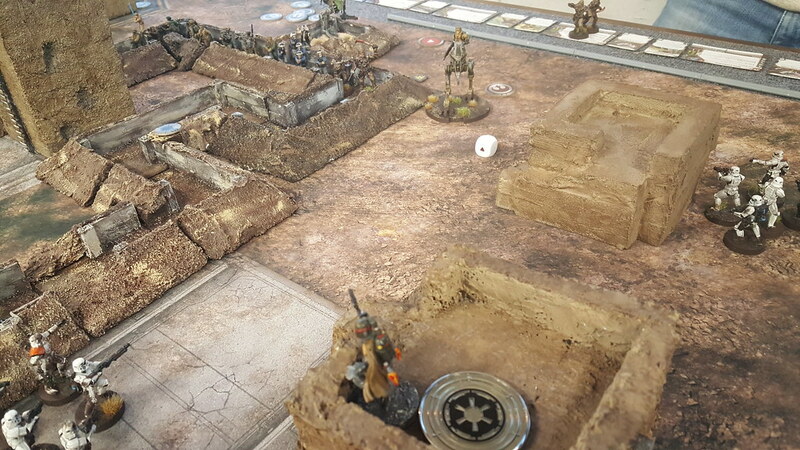 While sidetracked with my desert town, I'm back to working on the trenches, or more accurately, No-Man's-Land. 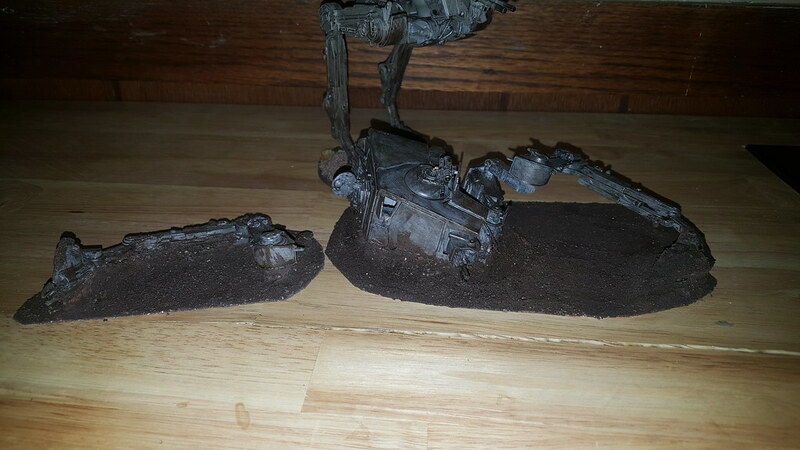 First up is a wrecked AT-ST. 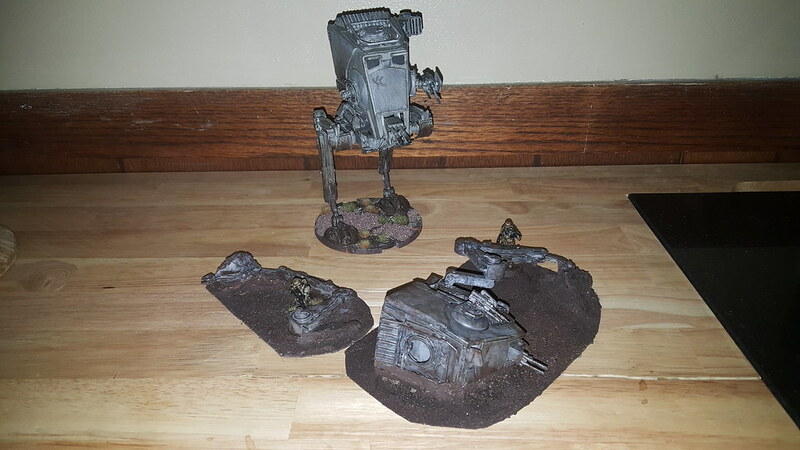 Intact AT-ST and Scout troopers for scale. It was made off a Bandai model from Hobby Lobby. 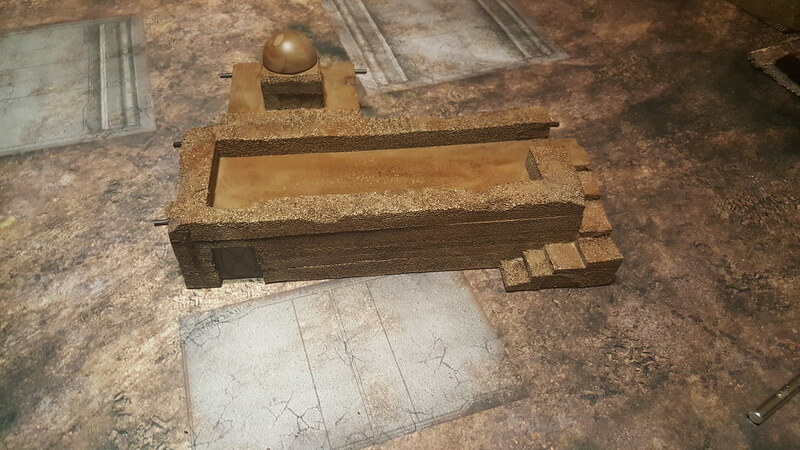 Not sure what to make for the trenches next, so it'll likely be more trench sections, and maybe a bunker or two. 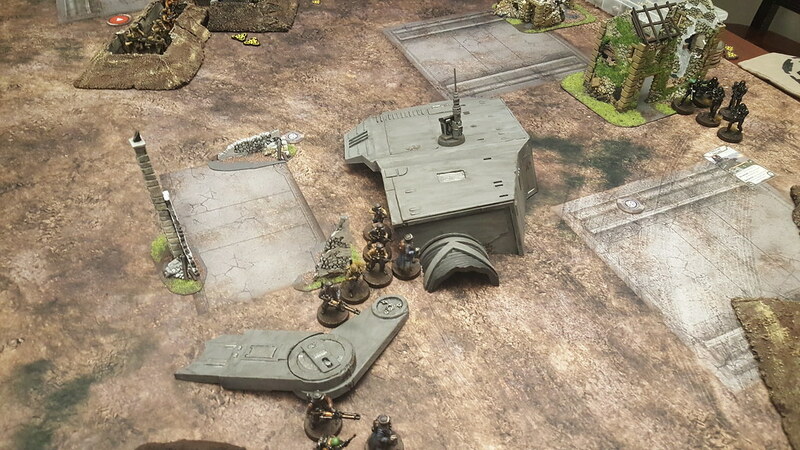 The Snail tank was made from an AMT model kit, while the AT-AT body is from the folks at LegionTerrain. I've also got one of their crashed X-Wings, so I'll be adding that shortly. 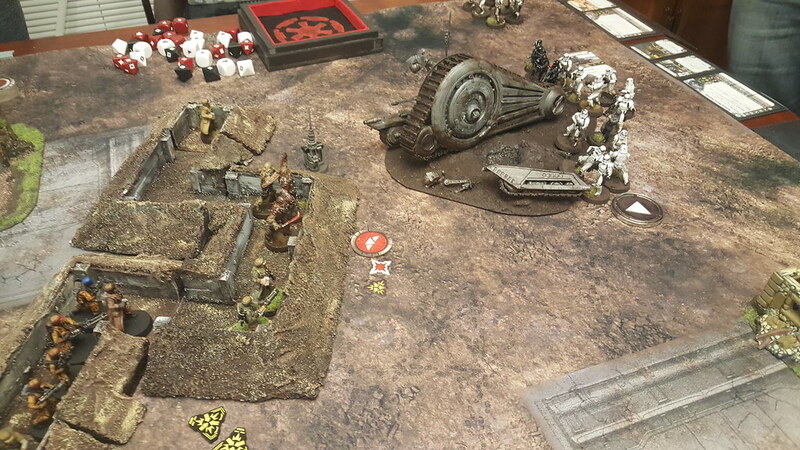 I'll be picking up the rest of the AT-AT set from LegionTerrain eventually, as its just too cool not to.